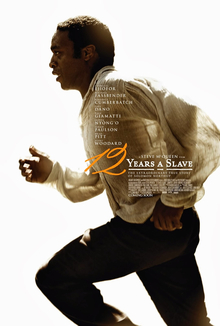 Based on the memoirs of Solomon Northup, it recounts the story of Northup, a free black carpenter and musician living in upstate New York, who gets kidnapped and illegally sold as a slave to the south for twelve years. Solomon Northup is the role of a lifetime and Chiwitel Ejiofor delivers it in full, leaving the viewer in moments of shock, fear and awe. Solomon’s inner conflict between resisting his new slave identity to the sad eventual acceptance is all communicated through Ejiofor’s face and body, as he is forbidden to speak. And it is in witness of terrible things, we see Solomon grasping tight onto his own values and dignity that makes his situation all the more endearing. It is impressive how we can see what Ejiofor is thinking in every moment. There is noteworthy long take where Solomon quietly contemplates his own fate, his eyes slowly look towards the camera and it struck me dead still. Even though Matthew McConaughey is still my pick for the Oscar this year, it’s going to be ultimately between McConaughey and Chiwitel Ejiofor. Michael Fassbender’s Edwin Epps is one of the most despicable evil onscreen characters in recent memory and probably for the ages. Paul Dano, Paul Giamatti, Sarah Paulson and Benedict Cumberbatch all give fine supporting performances. What dark nether place the Caucasian actors are going mentally to breathe life into playing slavers is unfathomable. It is quite a sight to behold that level of evil being performed. As producer, Brad Pitt didactically shows up in a small part to say the entire point of the story. While good in the part, Pitt’s appearance seems for more political reasons than purely for story reasons. It is not big enough of a problem to say he is miscast, but some may find it hokey or jarring. Newcomer Lupita Nyong’o is spectacular as Epp’s most prized slave Patsy, capable of picking five hundred pounds of cotton per day, but the achievement brings her more harm than relief. What happens to Patsy is even more heartbreaking than Solomon’s situation. Because of this, Nyong’o becomes the heart of the story in the latter half, as she represents the majority of slaves who were never free to begin with and never will be. Nyong’o is my pick for the Best Supporting Actress Academy Award. The physical violence is hard to watch. However, the non-violent scenes offer an insight not prevalent in other slave films, answering Quentin Tarantino’s proposed question “Why don’t slaves just kill their masters and escape in the middle of the night?” from Django Unchained. Steve McQueen gets beneath of how slavery works psychologically and shows its emotional violence. The way the slaves are sold posed completely naked, shower in groups outdoors like animals, and dance and sing in the middle of the night to amuse their masters, the power of slavery is not the threat of the whip but the overwhelming sense of human degradation that weighs them to the eventual surrender of one’s humanity. Needless to say, 12 Years A Slave is an intense and upsetting experience. The story is masterfully visualized by McQueen, showing the horror of slavery through how society deemed it normal and acceptable. The awards recognition it has gained is well deserved and has nothing to do with the fact that it is a film about slavery or playing to the white guilt in Oscar voters. The majority of audiences will probably only be able to stomach the experience once, as the gut-wrenching nature of it may not be friendly to watching it again. My suggestion: go see it once, but see it in full with your eyes wide open and soak it all in for what it is. It is a work of social and historical significance.